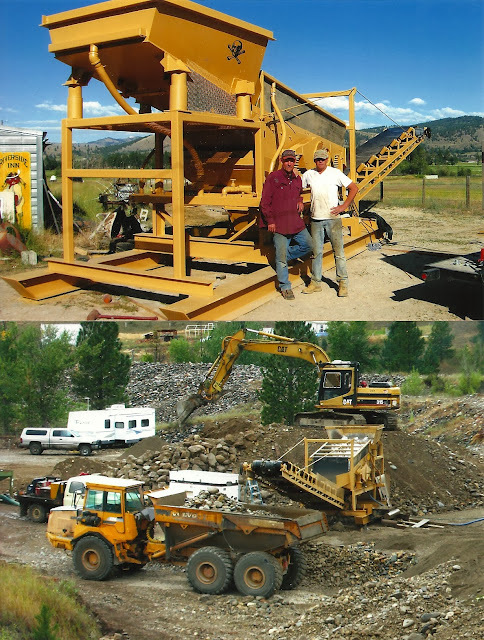 A good midsize mining operation will get you started and really give you some great evaluation, as a paying operating bulk testing program. You will gain invaluable information on whether to size up or down depending what the margins require, within your mining group. The plant is light and very mobile on skid mounts. This property I mined, was evaluated and very deep. This plant was designed for a lesser throughput and higher grade gravel , and this was due to overburden removal requirements. We had a successful season here. This layout plan worked for this plant and the property .We did not have a lot of big boulders to contend with or tough haul roads.